Congratulations! 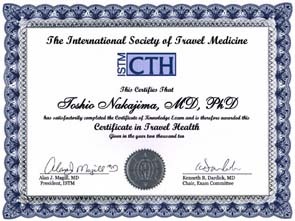 You have passed the International Society of Travel Medicine (ISTM) Certificate of Knowledge Examination. Your successful passing of the exam proves you have an expertise in the professional and solid knowledge of travel medicine.